Hand dyed SW Merino / Cashmere / Nylon DK yarn for your most beautiful knitting and crocheting projects. This kettle dyed, semi-solid yarn will give your creations the tonal, complex depth of color that only high-quality, artisan yarn can, and the kiss of cashmere elevates your projects to the next level of luxury! 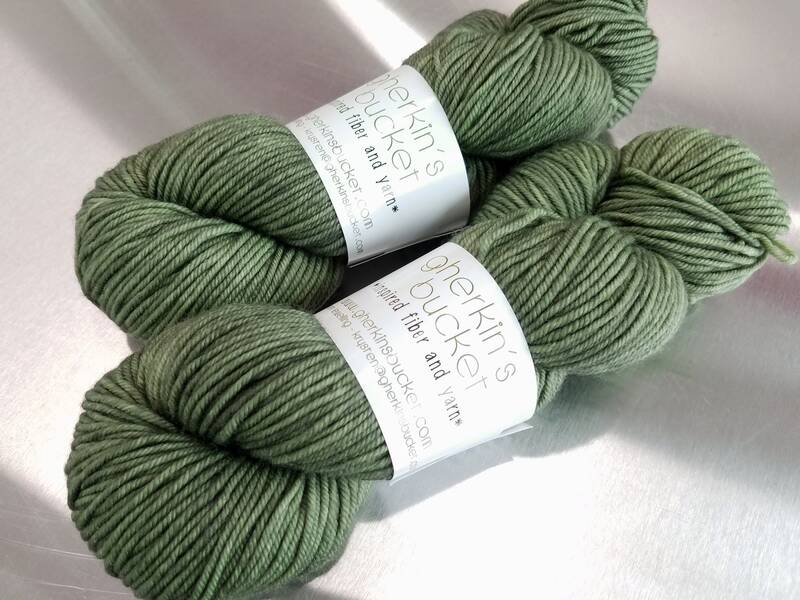 Sage Advice is a dusty light green, with lighter and darker concentrations of color gently shifting throughout. This yarn base is round and velvety, and may be machine washed - however I always recommend hand washing your precious hand-crafted goods!